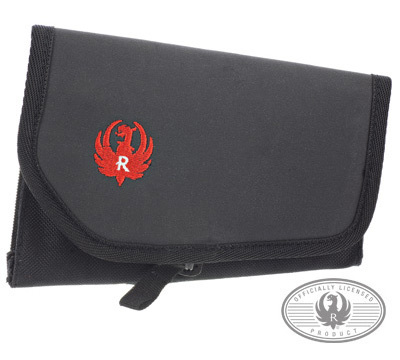 Black branded Ruger buttstock shell holder holds 8 rifle cartridges. 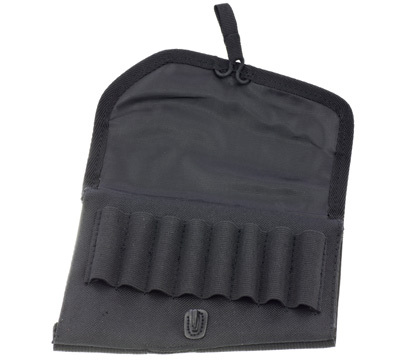 Holder has a protective flap and quiet comfortable cover. The previous review wasnt accurate. The part they stated isnt sewn all the way was intentionally designed that way for sling mount to protrude through bottom of holder.